You might be missing the hook. What’s a hook you ask, as a friend did the other day when I asked him for a hook on a project we are working on together? A hook is a message that grabs someone’s attention and won’t let them go until they have read the article. Kinda like a fish hook with bait grabs a fish’s attention and won’t let him go until you bring him in or let him go. Or that lyric from the latest pop song that just will not stop playing on repeat in your head. 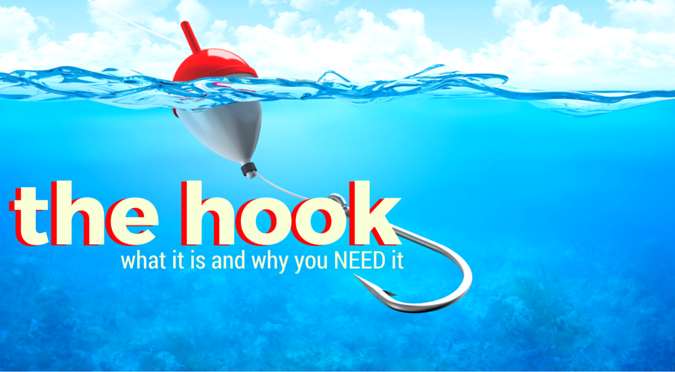 A powerful hook will substantially increase the number of people who do what you ask them to do. Not just in your ads, but also in your posts and emails. Basically, anywhere you communicate with people. When you’re writing a Facebook ad (or any ad, really) you need to know what you want someone to do before you even start. Check out Stephan Covey’s The 7 Habits of Highly Effective People. Basically, what is your endgame? Should they click read more, share your post, buy your product and change their life? Once you have this down you can start developing your hook. During this stage, don’t worry so much about the wording. Just focus on figuring out what you want them to do. Once you’ve identified your call to action, you can develop that concept into a hook that baits them into doing what you ask. Research why your current customers are buying from you. Ask why your past customers bought from you. Use Amazon as a research tool. How are best-selling books in your niche being marketed? Why are you offering this particular item or service? What are the benefits of the item or service? Is there anything hidden in this list? What is your USP? What is the USP of the product? Ask yourself what would make your ideal customer do what you’d like them to do. Is there an emotion they’d like to feel? A result they’re looking for? Use your research and your answers to those questions to develop your hook. As you can see, there is some work involved in creating a good marketing hook. It may take some time to develop, but once you find it you’ll find the effectiveness of all of your marketing improves. You’ll find, just like any other skill you practice, that creating hooks gets easier with time. If you would like help in developing a hook, (since many times an outsider has fresh eyes) I have a 1-2-1 Strategy Session available that would be perfect for this. In 45 min we can talk about creating a great hook (or work on any other question you may have about Facebook advertising) and get you on the right track to success. Sometimes, just bouncing ideas around with someone is priceless. But in this case, you’re bouncing ideas around with an expert in the industry who has years of experience creating hooks that work. Click Here for information about the strategy sessions. Looking forward to helping you develop your own hooks.